Back in June I decided I needed to start working on a few of my WIPs and getting them finished, especially as the HAED I was working on was starting to give me headaches during a very stressful period at work. 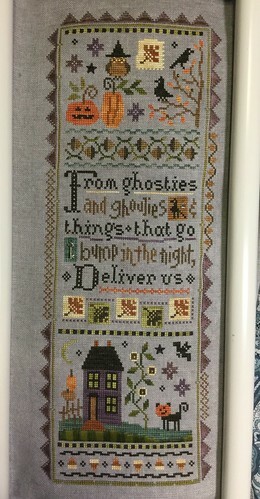 Anne S • This entry was posted in Finishes, Halloween, Lizzie Kate, Uncategorized. Bookmark the permalink. Beautiful! That piece is lovely and the fabric is perfect with it.